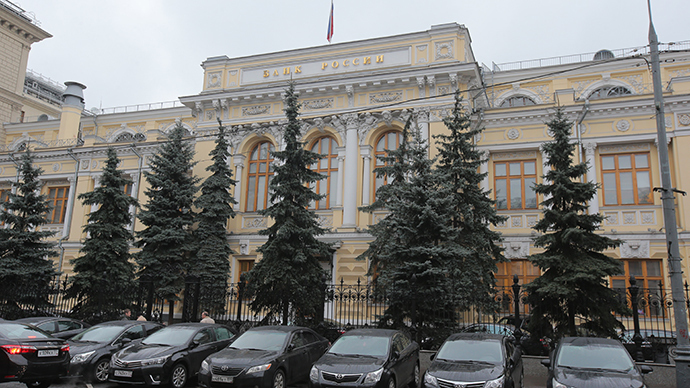 The Bank of Russia has issued a statement in response to the ruble’s rapid descent against foreign currencies, a move that implies it is ready to intervene and prop up the ruble. “In recent months, the dynamics of the ruble rate and its impact on the financial and real sectors of the economy has caused concern. The depreciation of the ruble is caused by a number of fundamental factors, primarily lower oil prices and limited access to external capital markets,” the bank said in a statement after a reported emergency meeting Friday. The price of oil, Russia’s main export and contributor to the state budget, has fallen over 30 percent since June. 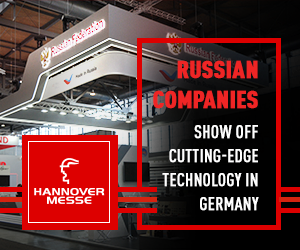 Sanctions against Russia have prevented several companies from borrowing from Western capital markets, putting a financial squeeze on an economy that is growing at a very slow pace. Russian Finance Minister Anton Siluanov said Friday the ruble will strengthen soon, as the current volatility was mostly speculative. “The fluctuations that have happened over the last two days are pretty speculative and don’t correspond to the basic ruble characteristics. I have no doubt that the ruble will soon find its position and will strengthen compared to current levels,” RIA quotes Siluanov as saying. 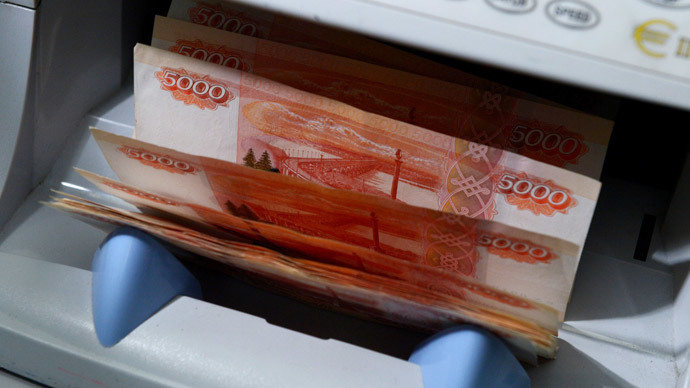 In early morning trading on Friday, the ruble hit historic lows against the dollar and euro. 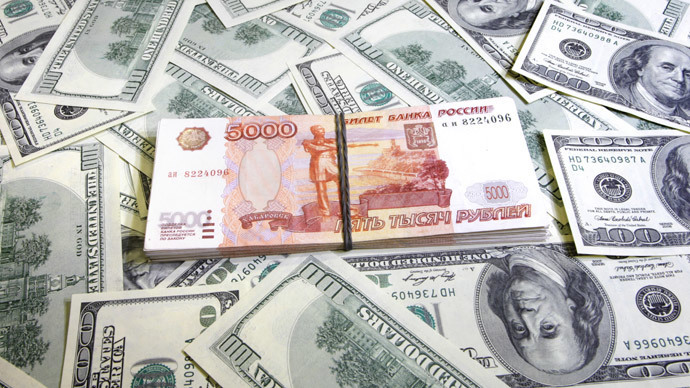 The Russian currency surpassed 60 rubles to the euro, and grazed above 48 against the dollar. Major dips on Friday follow the bank's November 5 announcement that it will cap the amount of money it spends to defend the currency as the ruble approaches free-float, a 2015 goal. The less predictable interventions also prevent speculation and further devaluation of the ruble. Analysts at Renaissance Capital believe the ruble is "very close to free-float" and see the increased volatility against the euro and dollar as a sort of adjustment period without CBR intervention. 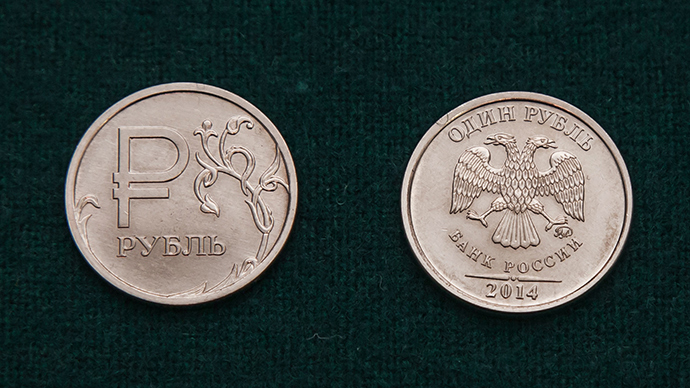 The bank forecasts the ruble will strengthen once oil prices increase. "In the mid-term, the ruble appears to be oversold compared to macro fundamentals. We estimate that fair price for the ruble with oil between 80 and 90 in 2015 stays between 42 and 41 RUB / USD," Oleg Kouzmin, Renaissance Capital's Russia and CIS economist, told RT. In October, the bank spent more than $30 billion intervening on behalf of the currency, which has already depreciated more than 30 percent since the beginning of 2014.